Three years ago I began a journey to rediscover the literary world of Laura Ingalls Wilder; the world I’d first discovered as a child growing up near the Little Town on the Prairie – De Smet, S.D. Three years ago, these words, as they ended the first book Little House in the Big Woods, permanently lodged into my brain. I’ve mulled them over; I’ve even been inspired by them to live in the ‘now.’ As I began rereading Little House in the Big Woods recently, these words pulled me to the end. Through some ups and downs (some documented), I’ve eventually accepted and even now embraced Rose Wilder Lane’s impact on the books. The series would not be what it is without Rose’s expertise and work. From typing to editing to finding and working with an agent, Rose was instrumental in the creation of the books we know and love. When I think about these closing lines, I find myself contemplating their origin. Were these Rose’s words? Were they Laura’s? Rose seemed to be more conscious of creating a legacy and the idea of how impactful these books could be. As she took the manuscript that has now been printed as Pioneer Girl, she morphed and coaxed the words into a different form and prodded her mom to recall and write more. And, because it is Rose, we know she antagonized her some as well. I find it plausible that Rose wrote or really shaped this passage. In Laura’s non-Little House writings, she seemed to use more to-the-point language about practical, and at-their-core less philosophical topics. Rose was a philosopher, incorporating ideas of truth, knowledge and the meaning of life into her own writing, and, quite likely, her Mom’s fictional work. As we get to know the Ingalls family in the big woods of Wisconsin, we learn many lessons by the fire with Pa. But, these lessons frequently focus on how little boys and little girls are supposed to act. Certainly, Laura and Mary learned about life through these stories, but they were more prosaic than this philosophical lesson of always being present in the life that you’re leading. As it’s want to do, life had changed significantly from the pioneer days when she was six years old. To the time the first book was published, nearly 60 years had passed and many innovations had revolutionized and improved the quality of life. From riding in a covered wagon for DAYS to driving her car to the train depot a couple hours away, from water at the spring to water at the indoor tap, these lines can be seen as communicating that not so much time had passed since “Grandma Was a Little Girl,” so you best listen to these life lessons. Not so much time had passed that the lessons throughout the book don’t apply to now – the actual now, the moment we’re living in as we experience her writing no matter how many years pass, even if that’s another 60 to 80 years or more. There are lessons contained throughout the entire series, but this one is the key to enjoying this story, the entire Little House series and life itself. My journey to rediscover Laura included a trip to De Smet. Or rather, that trip for a family reunion was the catalyst for my decision to find Laura again. We gathered at Lake Thompson in a lodge built in the early 1900s. When we arrived, the wind was blowing intensely as it does in South Dakota. Our activities were limited, but we found places to enjoy our time from reading throughout the lodge and across the lawn to running in the waves. But, we had to put off pulling out the catamaran, at least for those not adventurous enough to truly ride the waves. With Claire visiting my parents last week, Nick and I got to work on some household projects. I didn’t have much reading time, but I took as much time as possible. I wasn’t sure I’d stick with this after the first few minutes, but, as usual, I’m glad I stuck with it. If you’re interested in my thoughts as I read, check out my new Tumblr Totally Contains Spoilers. Pick out your next read from these great lists. Not comedy, but Martin’s distinctive voice shines through. I’m guessing this is a teaser for her forthcoming book. It’s a very good read. Please check it out ASAP! Nancy Jo Sales’ interview that I referenced here has been posted online this week. It’s at once a flattering look and a not-so-flattering look at Swift behind the scenes. It made me far less sympathetic to her, and made me question Sales motives. In the article, Sales mentions Swifts’ Grammy appearance, but apparently doesn’t ask her why she makes her relationships (or the end of her relationships) public in such a manner if she doesn’t want to deal with any negative press about how much she dates. It leads me to believe her “feud” with Tina Fey and Amy Poehler is purely promotional. I can’t describe the changes that have taken place since The Feminine Mystique was published 50 years ago any better than Katie Roiphe did. This is a funny and touching obituary written for a man who would have lived in obscurity outside his Mississippi-area home if not for his daughter’s excellent writing. Have you read anything interesting lately? What do you think of Lena Dunnham’s essay? To read more of my thoughts, follow me on Twitter. For more book reviews, books I’ve read and books I want to read, find me on Goodreads. Don’t forget to check out my Pinterest to see all the craft and home decor projects I’ll probably never do and some cool book and social media pins. And of course, If you like what I have to say, like or follow my blog through e-mail. Sign up is on the right! I found this anthology of Ephron’s essays on a whirlwind trip through a local thrift store; a trip that netted me a good stack of books to read. After reading about Ephron for the memorial piece I wrote about her this past summer, I knew that I needed to get around to reading her work. As I said in my memorial piece, at least a part of Ephron’s legacy will be showing that women can be multiple things (in her case award-winning filmmaker, director, producer, screenwriter, novelist, playwright, journalist, author and blogger) and do them well. I didn’t feel much of a connection as I read these essays. There is a somewhat odd thing about essays in that they need to be laugh-out-loud funny, inspiring or relatable. There were funny moments and a couple inspiring moments, but at my age, there were no relatable moments. That isn’t to say that I got no enjoyment out of reading this. It was a good read, and I would recommend it to others. What I did find inspiring was the form some of her essays took and even what she wrote about. I’ve always found writing essays to be a fun exercise in introspection and storytelling. Although I couldn’t connect to them, Ephron’s essays are well written and a guide of sorts. Follow me on Twitter here. For more book reviews, books I’ve read and books I want to read, find me on Goodreads. Tales from the Secret Annex is a collection of short stories and essays that Anne Frank wrote to pass her time while hiding from the Nazis. The essays are actually diary snippets her father had chosen not to publish with the rest of her diary entries. The writing in the short stories is very much that of a thirteen-year-old girl, but below the simplistic sentence structure lies complex thoughts and an understanding of the world beyond her years. The stories are also quite imaginative. The essays are where Anne really stands out. After all, her fame is based on the diary entries her father did publish. With topics like cheating in French class and arguments with and her thoughts on the Van Daams, her rebelliousness isn’t quite up to today’s standards, but I do find her honesty and writing style quite endearing. I don’t think we’re so very different from nature. And since we people are apart of nature, why should we be ashamed of the way nature has dressed us? Why not just be naked? What is wrong with the human form? I had learned that most sadness comes from joy. I don’t think most adults have learned this concept, so to see it in the private writings of a 13 year old is astounding to me. It’s almost as if the wisdom of a full like was granted to her before her untimely death. This was an interesting read from a historical standpoint. I would definitely recommend it to anyone interested in Anne Frank. May and June seemed to have been plagued by the loss of important authors. We lost Maurice Sendak on May 8th, Jean Craighead George followed on May 15th and Nora Ephron rounded out the triumvirate on May 26th. If death truly does come in threes, I hope we’ll be done for a while. Maurice Sendak was and will continue to be loved and remembered for Where the Wild Things Are. It’s hard to believe that Where the Wild Things Arewas first published in 1963. Love and acclaim for the book hasn’t dried up in the nearly 50 years it’s been a part of our world. 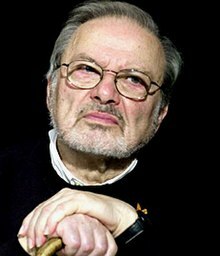 Sendak has received the Caldecott Medal, the Hans Christian Andersen Award, the National Book Award, the Laura Ingalls Wilder Medal, the National Medal of Arts and the Astrid Lindgren Memorial Award among many, many other deserved awards. He’ll be remembered for many years to come for his contributions to children’s literature as an author and illustrator. Many literature loving adults probably remember reading Jean Craighead George’s Julie of the Wolves and My Side of the Mountain among other books. Although not my typical book choice, My Side of the Mountainmade such an impact on me as a preteen that I randomly recall parts of the story as I go about my daily life (which has nothing to do with living alone in the mountains). George’s books brought the outdoors and natural life to an audience that isn’t always naturally receptive to it: young girls; while, at the same time, still being entertaining for and loved by boys (after all, I did find this book on my older brother’s bookshelves). 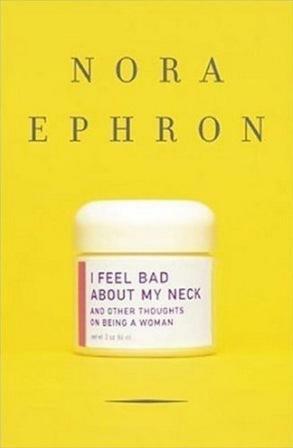 Despite a long list of accomplishments, I believe that Nora Ephron’s most important contribution to the world was in showing that women can be multiple things and do multiple things well. Ephron herself was an award-winning filmmaker, director, producer, screenwriter, novelist, playwright, journalist, author and blogger. She was nominated three times for the Academy Award for Original Screenplay for Silkwood, When Harry Met Sally… and Sleepless in Seattle. Ephron came from a successful literary and film family. Her parents were screenwriters (Take Her, She’s Mine among others), her two sisters Delia and Amy are screenwriters and her sister Hallie is a triple threat—journalist, book reviewer and crime fiction novelist. Many of us heard the news of the passing of these authors with sadness, but their contributions to the craft of culture will be remembered for a long time to come. 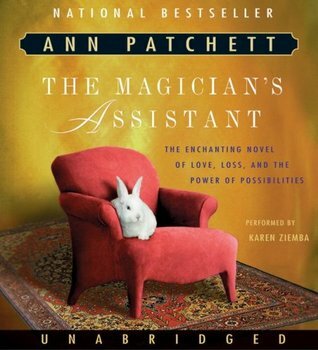 What impact have these authors had on your life?